The Opportunity Expo takes place during lunch and through the afternoon at the Summit and offers participants exposure to summer natural resource and STEM leadership and job opportunities for students, river and watershed science university programs, and career readiness tools and resources. The following programs will be representing and sharing their youth opportunities during the 2018 Healthy Rivers Youth Water Summit. The Youth Conservation and Fly Fishing Camp is designed to educate 14 to 18 year old youth on the importance of cold-water conservation and provide hands-on fly fishing instruction. The program includes hands-on classes such as fly tying, fly casting, stream-side ethics, angling literature, stream-side botany, wader safety and survival, and the evolution of an angler. Youth will also participate in a watershed project to repair habitat in a nearby stream. ​The TU Costa 5 Rivers program organizes campus clubs that teach students fly casting and fly tying and also provide volunteer stream conservation activities on the members' home waters. Students in TU Costa 5 Rivers clubs have the chance to join a sponsoring TU Chapter in their region, lend a young voice, and help shape the TU of tomorrow. ACES offers two college credit programs for high school students exploring the intersection of social justice, environmental issues, and engaged activism. The Tomorrow's Voices for the Environment class is offered to students within the Roaring Fork Valley throughout the school year and student receive both high school and college credit for their participation in the weekly class. During the summer, ACES offers the ACES Apprenticeship in Sustainability and Education. Drawing on the incredibly strong network of Roaring Fork Valley organizations focused on sustainability and environmental science, students are exposed to a wide range of local individuals and resources. In addition to several field site visits and presentations, students will also assist in teaching environmental education programs, read and discuss articles, write daily journal entries, and create a portfolio of work. Students can also receive college credit for participating. ​Join an expedition with Grand Canyon Youth! Come feel the exhilaration of whitewater, hike through ancient canyons, play in waterfalls, move beyond your comfort zone, give back to your community, make new friends, and work as part of a team. Learn more here. ​Roaring Fork Audubon will be awarding scholarships to attend a Colorado Birding/Nature Camp for 5 days in the summer of 2019, for interested 13- 18 year olds. These high quality Birding/Nature Camps provide unparalleled opportunities for fun, learning and wonder from the high mountains of Rocky Mt National Park to the astonishing Pawnee National Grasslands. Apply here. 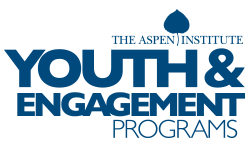 ​The Aspen Institute offers its Hurst Student Seminars and Teen Socrates to high students valley-wide each year. The 3-4 day seminars are dedicated to enhancing leadership, problem solving, and critical thinking skills for high school students. Students are challenged to think more critically and deeply about their values and ideas, and those that make the good society. Our proven method of text-based dialogue offers participants a neutral forum in which to reflect on timeless human values, pursue common ground, and cultivate a richer understanding of the human condition. Participants emerge from the seminar with a new perspective as they confront the difficult choices of our ever-changing world. The Hermanas del Rio/River Sisters Partnership is a goodwill leadership exchange effort and binational collaborative projects that advance the restoration of the Colorado River and celebrates the hydrological, economic, and social interdependencies of urban Colorado River water users from the Colorado River’s source to the sea. A partnership agreement with the City of Denver and the City of San Luis del Rio Colorado, Sonora, Mexico has been signed that includes culture and the arts, sister parks and watershed reforestation and freshwater restoration. This initiative will include more communities along the Colorado River/ benefiting from the Colorado River. ​The Grand Canyon Semester investigates the landscape, cultures, and politics of the greater Grand Canyon region. The Grand Canyon Semester offers a life-changing learning experience in the high mountains of northern Arizona and the deep canyon country of the Colorado Plateau. Students with a wide variety of interests and passions come from across the United States and around the world to join faculty in the natural sciences, social sciences, arts, and humanities to investigate how humans impact, manage, interact with, and value the natural world. On backcountry field trips, in classrooms and art galleries, around campfires, in traditional hogans, and floating down the Colorado River through the Grand Canyon, we confront key environmental and social challenges in these diverse natural and cultural landscapes. Undergraduate students invited to apply; early application deadline December 1st; final application deadline March 1st. Learn more and apply here. The Grand Canyon Semester from Kelly Ryan on Vimeo. ​Red Rocks Community College provides training for the next generation of water professionals. Through our certificates and degrees, we encourage employment in natural resources, treatment industries, regulations and laboratories. 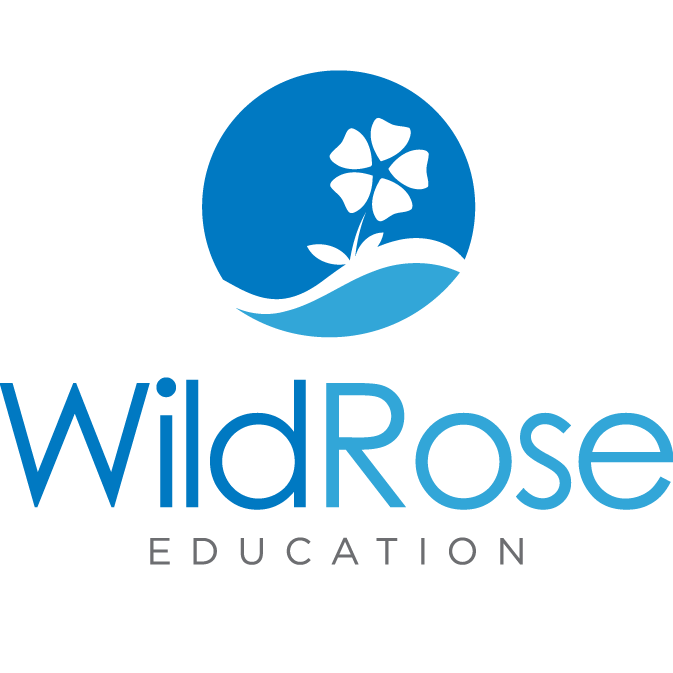 Our classes focus on protecting human health and the environment. Learn more about our programs here. The River Studies and Leadership Certificate (RSLC) is designed to offer undergraduate and graduate students who have become inspired to join the next generation of river professionals a foundation of knowledge, skills and experience in river-based science, policy, conservation, education, and recreation. Visit their website to learn more and email at info@roaringfork.org for specific inquiries. ​SCA’s mission is to build the next generation of conservation leaders and inspire lifelong stewardship of the environment and communities by engaging young people in hands-on service to the land. We do this through offering high school and college students the opportunity to volunteer on intern in positions in national and state parks, on public lands, with NGOs and more. Click here for more info. If the river is calling you, consider an opportunity with Defiance Rafting Company. Every season we are looking for River Pro's AKA Guides to join our crew. Our professional River Pro's are the foundation for providing lasting memories of the river experience. Our team values safety and accountability while making time for laughter and lightheartedness. Not old enough, but want to be part of the outdoor industry? We also seek administrative support and boathouse crew members to help us create positive first impressions for our guests. If you are looking for a summer employment experience that defines who you are and what you value, join the Defiance crew! ​The Way of Compassion Bicycle project is seeking an intern to help this small community bicycle program grow. We currently are seeking assistance with maintenance of bicycles, helping community members with their bicycle repairs, setting up and running an eBay business around used bicycle parts, grant writing, fundraising, parts organizing, and much more! We are seeking an enthusiastic aspiring bicycle mechanic who would like to further their personal mechanical skills and learn the intricate and interesting parts of a small non-profit community bicycle program. Email Aaron to apply. ​EcoFlight's Flight Across America program informs students about environmental issues from a broad range of perspectives in a 3-day intensive course. Combining overflights in small airplanes with education on the ground, participants learn to better understand complex landscape and water issues. The Flight Across America program engages students in critical thinking as they explore the complexities of water and public land management. By giving students the opportunity to see public lands and waterways from a new perspective, the program encourages them to find out why these places and issues are important to them, and most importantly, speak up for the issues they care about.